KARE Design,an international design shop with over one hundred stores worldwide, recently launched a new app that puts the fun back in interior design called the 3D Room Designer App. Fashion Ecstasy was invited to the exclusive preview of this new app in the KARE flagship store on Queen Street West on Monday, August 20th, 2018. 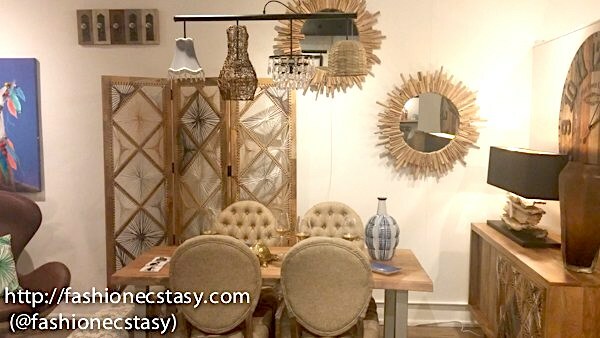 While there, we got to test out the app in their showroom as well as browse their new collection of unique and stylish furnishings, trendy lighting, statement accessories, and fun textiles. While the KARE brand has been in business for over thirty-six years, the showroom on Queen Street West is the brand’s first and only flagship store in North America. Opened since June 2017, the KARE Design Toronto store has established itself as a one-stop shop for all things interior design. Meeting with Edilka Anderson, franchise owner of the Toronto showroom, explained that this store is anything but your average furniture store. Complete with an in-house designer, consultation services, a room planner, and now the new augmented reality app, it’s clear that this store makes the effort to take the stress of interior design out, and making it as easy and accessible as possible for customers and clients who use their services. Upon arrival, Edilka presented a small decorated cardboard box that contained the special glasses needed for the Room Design App. The way the app works is that the app combines virtual elements to an AR version of the room. The designer sends a code to the client (iPhone and iPad compatibility only), the client opens the code on their phone, and through the glasses, views the project that has pieces from KARE in the photorealistic 3-D model. This allows the client to make any changes to the design, view the model in ‘walk around mode’, and fully inspect the room and the furnishings before you proceed in sending your shopping basket of furnishings to your local KARE location. The 3D Room Design app takes the remorse out of the dreaded buyer’s remorse, and is all part of bringing fun and technology to interior design and decorating the world.